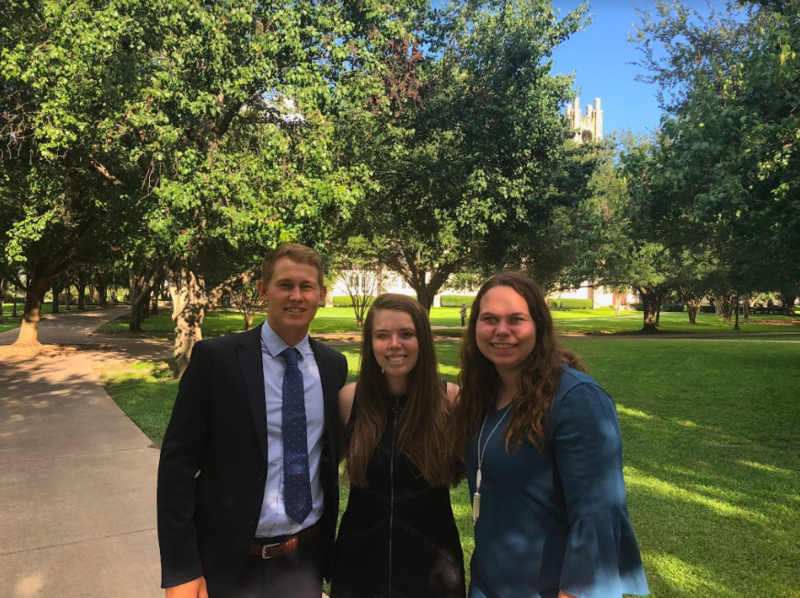 This Fall semester, Southwestern University will participate in the National campus competition ‘Up to Us.’ The non-partisan campaign, led by juniors Alexis Dimanche, Courtney King and Kirby Birk, aims to raise awareness about the U.S National debt and educate students about the economic impact it will have on the current and future generations. The Nations debt is currently at $21.6 trillion. The Up to Us team assures that mobilization from students is key to hope for change. The competition is funded and run by international non-profit Net Impact. Net impact has student chapters worldwide and encourages leaders to make a difference in not only their community but also their business by showing corporate social responsibility. Through the annual competition, select teams from colleges and universities nationwide receive training and funds for campus campaigns to educate their peers. Hence, campus leader Alexis Dimanche had the opportunity to attend the Net Impact 2018 conference held in Phoenix end of October. Prizes include $10,000, paid trips to world-class conferences, access to policy leaders and paid internships. The student campaigns will be judged by competition organizers and a diverse panel, and are scored on criteria including the success of key campaign activities and the creativity behind those activities. Top teams will be announced in April 2019. According to calculations based on data from the nonpartisan Congressional Budget Office, the current trajectory of the federal debt will reduce the income of a four-person family by an average of $2,000 in 2027, rising to $8,000 in 2037 and $16,000 in 2047. That’s money that won’t be spent in the economy or invested in education and retirement. According to the CBO, spending cuts or revenue increases (or a combination) totaling 1.9 percent of Gross Domestic Product (GDP) are necessary to stabilize the debt. In five years if no action is taken that amount grows by 21 percent, and in 10 years it would grow by 53 percent. The Up to US team at Southwestern organizes events on campus dedicated to engaging students on fiscal sustainability and economic opportunity. For example, on October 16th, a panel of SU professors from various departments and a number of campus club representatives educated and engaged with more than 50 students about the national debt. Over the last seven years, Up to Us has created a groundswell of student leaders who’ve engaged and empowered more than 230,000 young Americans towards a more prosperous fiscal future.